News coming in from the Gulf about the life sentence imposed on British PhD student Matthew Hedges from Durham University is outrageous but will the UK Government put up a robust defence for him? Based on a false confession he has been found guilty of spying in the United Arab Emirates (UAE), a decidedly dodgy country when it comes to human rights both at home and abroad. I rarely fly via the popular hub of Dubai these days after producing a documentary film exposing the dark side of life in the Emirates just in case I get ‘taken’ in transit … and I’m not being alarmist. I know of several critics of the UAE who’ve gone missing after a stopover in Dubai. What I can say with confidence is that prisoners are routinely abused and tortured in custody there so if hedges has made a false confession, as his family alleges, then I for one am not surprised. Of course, this is what happens when British Foreign Secretaries and other dignitaries heading out to the Middle East turn a blind eye to the unsavoury aspects of dictatorships which involved abuse and torture. I still remember back in 2013 when the then London mayor, Boris Johnson, described himself as ‘mayor of the eighth emirate’ while on a trade mission to Dubai ignoring the fact Britons were being held and tortured in the prisons there. Dubai is a popular destination for tourists and businesspeople alike but it is subject to persistent complaints about human rights abuses, not least in the case of the 250,000 foreign labourers in the city who work and live in appalling conditions once described by Human Rights Watch as being “less than human”. 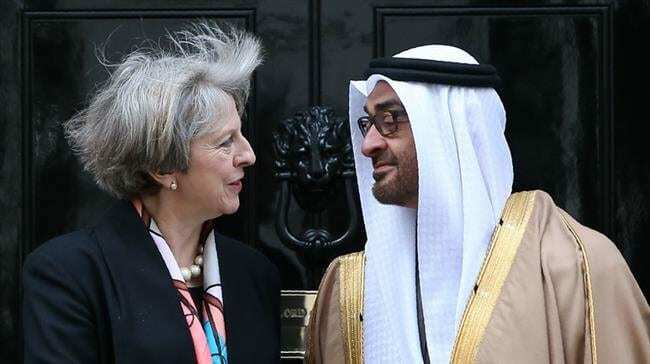 It’s time British Prime Minister Theresa May said her Foreign Secretary Jeremy Hunt stopped tiptoeing around Gulf sensibilities and got tough with the leaders of the UAE who so value the red carpet and state visit treatment often lavished on them when they visit the UK. Meanwhile, Dr John Williams, the head of government and international affairs at Durham University, said the case involving the student was “appalling” and “lacks most of the features we would accept as a fair trial”.